﻿ [KANESHIN of bonsai tool]Watering Nozzle Copper " Weight - Size 330mm : 300g No.125BS / Size 500mm : 1000g No.125BL- "
All Items > Watering Nozzle > Nozzle > Watering Nozzle Copper " Weight - Size 330mm : 300g No.125BS / Size 500mm : 1000g No.125BL- "
Watering Nozzle Copper " Weight - Size 330mm : 300g No.125BS / Size 500mm : 1000g No.125BL- "
Copper has sterililzing properties.And so , water is always fresh. And it is good for the plant. 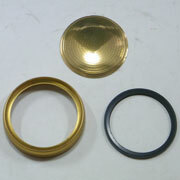 The mesh is made of brass. please click the following image. 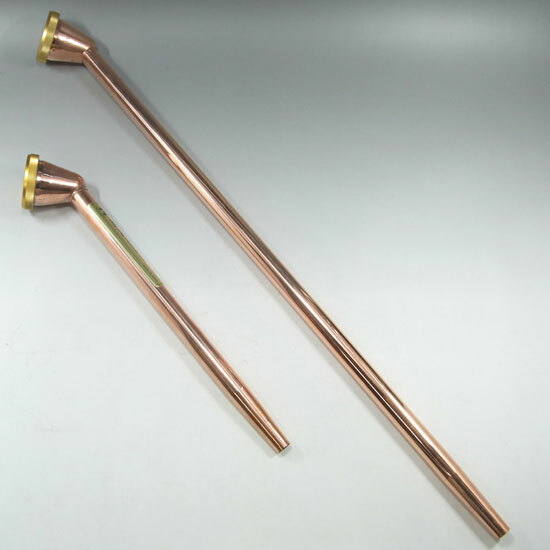 Item Name Watering Nozzle Copper " Weight - Size 330mm : 300g No.125BS / Size 500mm : 1000g No.125BL- "